Easy action Rag Quilt Snip for Table Top Cutting is perfect for anyone who needs to cut small squares of fabric for quilts. Ideal for quick snips when table top cutting on a wide variety of materials including denim, silk and multiple layers of fabric. Spring action design gently opens blades after each cut to reduce hand strain. 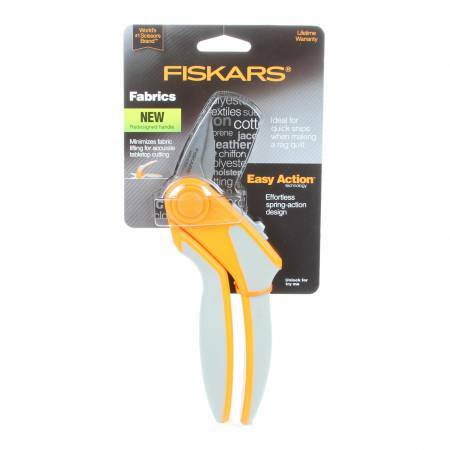 Unique handle shape lets you lay fabric flat and minimizes lifting while you work for more accurate cutting. Softgrip touch points enhance comfort and control.